1) In using the current website, you are agreeable to the terms & conditions outlined here and elsewhere within ‘The Eternity Rose’ site. 2) The policies outlined here by The Eternity Rose (referenced as ‘TER’ hereafter) are written in accordance with all current legislation as regulated by law in the United Kingdom, and are written for the express purpose of protecting our customers so that they can shop confidently and securely. 3) TER makes every effort to ensure that all information contained on the website is as accurate as possible. However, mistakes can and so sometimes occur. In the event that a mistake is discovered, TER will do everything possible to take care of the situation for the purchaser. However, TER will not be responsible exclusively for inaccurate content. 4) By continuing to use the website, you, our customer, accept that mistakes, inaccurate information or other errors, either directly or indirectly, will not be the responsibility of TER. 5) TER is entitled to change content on the website, in part or in whole. 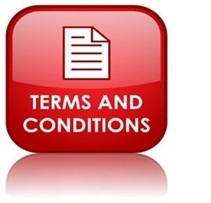 This may be done without providing any prior notification, and it may include the terms and conditions for TER. 6) Any orders that are placed by the customer must be accepted and confirmed by TER. 7) Acceptable methods of payment include PayPal, MasterCard and Visa. 8) Any and all goods purchased by the customer shall not be considered to be in their legal possession until payment has been processed in full. 9) TER maintains every effort to ensure that all items which are under warranty, and are found to be defective, are handled swiftly and completely, and to the customer’s satisfaction, as long as that is within reason. However, TER may not be held responsible for items that have clearly been damaged after they were received, damaged intentionally, or when there are extenuating circumstances. TER shall not be held liable for injuries to the customer, either financial or physical, resulting from the purchase of any products sold by TER. 10) All efforts are made to process orders the same business day that they are received. In some cases, it may require up until the next business day. However, there are sometimes extenuating circumstances and as such, TER is not able to guarantee that items will be shipped the same day that the orders are received. In addition, orders will not be processed on public holidays or on Sundays. 11) Estimated shipping times are exactly that, an estimate. Therefore, this in no way implies any type of contract or obligation on the part of TER when it comes to estimating the amount of time that it will take for goods to reach the designated address. TER does make every effort to provide estimates that are as accurate as possible. However, it is not possible to predict an exact delivery date. TER also strives to have items in stock so that they can be shipped as quickly as possible, although items may be backordered from time to time. In addition, TER will not be responsible for shipping delays, damages or lost items. All efforts will be made to assist the customer as much as possible, but TER will not be held responsible for issues that occur during shipping. 12) Customers must pay costs that occur as the direct result of refused shipments or goods that are unclaimed. Therefore, it is necessary that someone be present at the requested address of delivery to receive the shipments. Any goods that are shipped back to TER will still be the financial responsibility of the customer. 13) TER strives to keep its customers informed through e-mail. Typically, information that allows the customer to track the package will be e-mailed as soon as the order has been shipped. In addition, the customer can check the status of the purchase and obtain updates by visiting TER website and logging into the account. 14) TER makes every effort to ensure that goods are not on backorder, although this does happen on occasion. In addition, all efforts are made to notify the customer that an item is currently on backorder when they attempt to order it so that the customer is not charged for the item at that time. However, there are sometimes occasions when the order may be processed without any notification that the item is currently on backorder. If that does occur, TER will send the customer a message via e-mail as soon as possible with an estimated delivery date. However, if it is anticipated that the item will not be available for quite some time, the customer will have the choice to receive a full refund for the particular item. 15) TER provides information to help the customer make sure that they are purchasing the right products for the intended uses at the time of purchase. TER also provides the customer with a 90-day warranty, allowing the return of any products, whether defective or not, within the first 90 days after purchase. As long as the item is not damaged, it can still be returned to TER for full refund even due to change of mind. Otherwise, TER may charge a restocking fee, typically 10% of the purchase price, not to exceed $20.00 per item. If a product has been damaged by the customer, TER will not be able to warranty that item. The customer agrees to pay return postage. Furthermore, if a customer receives an incorrect item, they must notify TER within seven days in order to have the money refunded to their account, and the correct items sent at no additional cost. 16) Any items that are intentionally bent, scratched, or otherwise damaged by the customer will not be refunded. 17) On all items that are described as gold-plated and gold-dipped, TER guarantees that they are coated in genuine 24 karat gold without impurities. 18) Warranty claims will be handled as quickly as possible. In most cases, this means that action will be taken within 24 hours of the claim being filed. However, TER does not promise that these claims will always be handled this quickly, especially during busy times of the year (eg, Valentine’s Day and Mother’s Day). Therefore, TER cannot provide any specific information on the amount of time that will be required to handle a warranty claim. 19) Insurance is available on products for the purposes of shipping. However, the customer has to notify TER within 48 hours of a damaged item being received. TER is not responsible for goods that have been damaged by misuse, improper display, or any type of natural disaster such as flooding. For further information, you can refer to our Warranty Policy here. 20) If an order has not shipped, the customer can request that TER cancel the order, either in part or in whole. The customer’s account will be credited within approximately two business days. 21) TER sells goods at a listed price, reserving the right to change the price at any time. In addition, TER also maintains the right to sell items at a reduced price for any length of time that is deemed necessary, and to change prices without prior notice. While TER makes every effort to ensure that prices are accurately displayed, errors sometimes do occur. If an error has occurred, TER will notify the customer as quickly as the error is noticed. However, TER is not obligated to sell the product at a reduced price simply because of an error in pricing. 22) TER understands how important it is that the customer feels secure when they shop. TER provides a completely secure site where all transactions are fully safeguarded by GeoTrust 256 bit encryption technology, which ensures the highest standard of security protection in any given internet situation, in any location of the world. 23) The privacy of TER’s customers is important. TER does not release any personal information or sell information on its customers to anyone, at any time. TER uses the personal information only for processing orders and delivery. Furthermore, the customer will only receive e-mails from TER when updating a recent order or return, or if the customer has notified TER that they want to receive newsletters or be notified of special offers. 24) TER makes every effort to ensure that all pictures of products are accurate depictions of the products that the customer will receive. However, there may be times when the delivered product differs slightly from the picture that appears on the website. This is due to the fact that the primary selling product of TER is a natural rose, and in nature, roses vary according to certain attributes such as form and shape. Therefore, TER reserves the right to display images of its products that may differ to some degree to the product received by the customer, however, TER aims to the best of its ability for these variations to deviate no more than 5%. Thus, all efforts to ensure that representation of the products is equal and accurate will be made, but TER will not be held responsible for slight inaccuracies. It is also possible that some slight variations will occur between the product pictures relating to the colour of the product and the packaging of the product. TER always aims to display images of its products that are as close to the real-life representation of the goods that are despatched, but some slight inaccuracies may occur. 25) TER employs staff on hand to deal with any issues that may occur for the customers. However, the level of support that can be given related to technical or display advice is general, and should be treated by the customer as a guide only.